Everybody, please meet at Singhampton, above. Hopefully, we will have enough cars to do the shuffle. Drive back out and down to Duntroon Road. 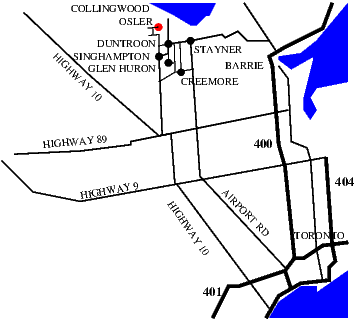 Drive east on Duntroon Road to Concession 10. There should be signs at the intersection for Highlands Nordic Ski Resort, and Duntroon Highlands Golf Club. Turn left, north, on Concession 10. Drive north to Poplar Sideroad. This may be signed as Sideroad 32. Turn left, west. Drive west to Collingwood Clearview Townline. Turn right, north. The next intersection is where Grey Road 19 comes south and turns west. Turn west. There will be a big, sweeping curve in the road to the left. At the end of this, you should be some Bruce Trail signs. Google Maps is showing another way, but I have not tried it. This hike is rated as a Class 3 hike. There are lots of hills. There will be some scrambling through Singhampton Caves. Hiking boots are strongly recommended. 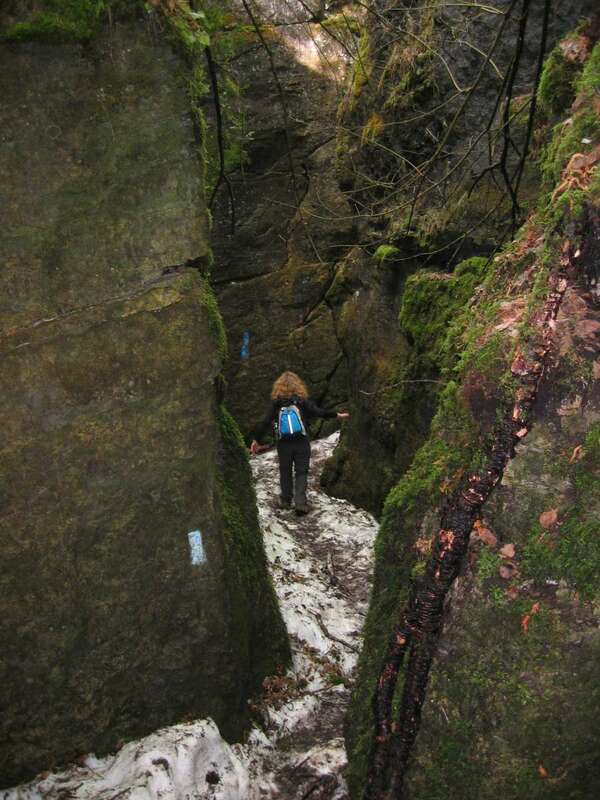 It turns out that the hike is only forteen kilometers. It felt like eighteen when I estimated the distance earlier. Singhampton Caves are worth the effort.